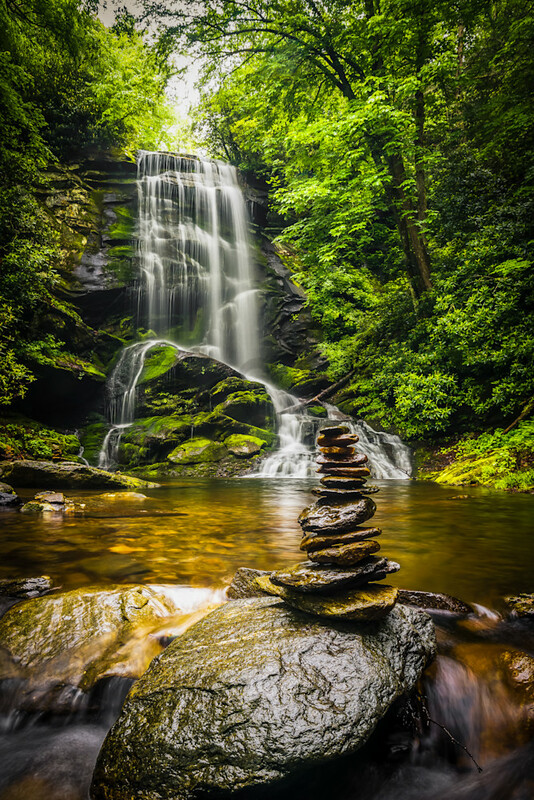 Western NC is full of waterfalls, literally 100s of them are scattered around the mountains of western NC. This one is by far my favorite one I've visited. Catabwa Falls is a moderately difficult place to reach. The upper falls would be reserved for your more seasoned hikers as it could be treacherous hike to get there. A beautiful free-fall, ending in a split cascade into a deep, clear pool. The "trail" technically continues up the right side of the lower falls to a precipitous path to the base of the upper falls. However, the way is extremely steep, slippery, and dangerous, and it's located right next to the lower falls. It's steep almost to the point of technical rock climbing.